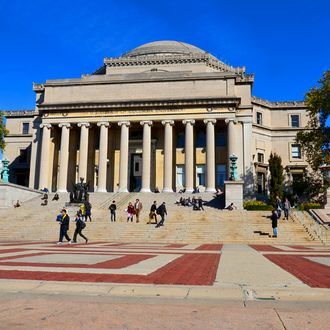 Mayor Bill de Blasio has thrown his weight behind Columbia University’s bid for Obama’s presidential library and museum. He responded Thursday to a Sun-Times column, which described New York’s push for the landmark “tepid and unspecific,” unlike the Windy City, which wants it bad. The mayor, not one to back down, be it in basketball or Stanley Cup wagers, responded to the alleged lack of enthusiasm by saying, “We’re certainly going to work hard to get it done.” He added that while Chicago has a slight hometown advantage, “we don’t give up easily.” Maybe recent suggestions that Obama make his home in New York City after the White House have buoyed the mayor’s resolve. Your move, Chicago.